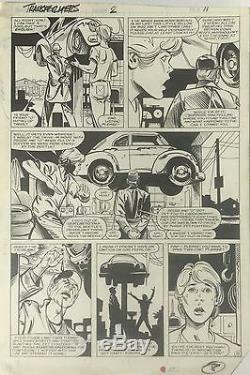 Frank Springer & Kim Demulder Transformers Limited Series #2 (1984) Original Art Pages 8 & 9. Offered here are two pages from issue #2 of the original Transformers Limited Series that started the whole Transformers Universe back in 1984. This sequence was adapted for the first movie and is from the memorable sequence in which Witwicky discovers Bumblebee for the first time. 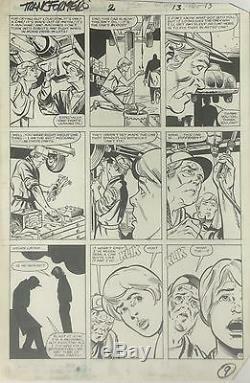 Pages from this original Limited Series are scarce dont miss out on this two-page sequence from the 2nd issue. Modern sized art on Marvel Bristol board with some corners clipped. Orders for multiple items can be combined. So, check for other art for sale this week. 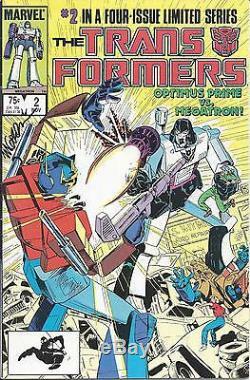 The item "Transformers Limited Series #2 Pages 8 & 9 (1984) FRANK SPRINGER & KIM DEMULDER" is in sale since Saturday, April 15, 2017. This item is in the category "Collectibles\Comics\Original Comic Art\Interior Pages". The seller is "comicsuwant" and is located in Pacific Palisades, California. This item can be shipped worldwide.